By chris Milbank November 11th 2017. There is no mental / emotional health or physical health illness that is caused by a lack of pharmaceutical drugs. When a psychiatrist or Medical Dr prescribes them, it indicates they do not know the cause of your illness but will offer something that may disguise the symptoms, but which in turn will have consequences (side effects of the drug). Depression anxiety and highly emotional types are all found to have some level of inflammation . There are many causes of anxiety and panic attacks, however they affect us in two main ways. We may have specific issues we are anxious about, and I have ways of treating these over the phone, some take seconds to remove others minutes or hours really depending on traumatic experiences and emotional conflicts that may be entangled within the anxiety. I liken these specific issues to be like gears in a car, when we access these issues they drive us into a high state of stress and anxiety, like being in top gear but in a busy car park, there can be no flow, we are constantly bumping into things it’s high drama. My techniques can take these out of gear, so there is no drama. Some people have a high revving engine as well, this I liken to the brain, where the brain is revving very high, looking for a problem something to warn you about and protect you from. This high revving brain is most often triggered by inflammation in the gut, that can lead also to brain inflammation. The causes of this can be food intolerances, glyphosates that make tears in the gut lining, Toxic heavy metals particuarly mercury in amalgam fillings and vaccines, but lead, aluminum and more, and also infections that are hidden deep,and don’t show up in a blood test. Without going fully in depth here, there are many ways to address these, there are natural products that calm the excitatory glutamate receptors in the brain, and balance them with calming gabba. There are good and safe ways to detox the heavy metals from the brain gut and body tissues. Also safe and natural ways to eradicate high infectious (pathogen levels) all reducing inflammation, which is triggered by oxidative stress. Oxidative stress is when cells and even dna are damaged by toxins and infections, any of he cells die some remain damaged, this affects detoxification pathways and problems can get worse. Some are genetically pre disposed to poor detox pathways, but on detoxification many of these can be upregulated and resolved despite the genetics you may be vulnerable to. So what do I offer. 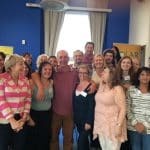 I offer single sessions to treat specific issues, I offer a block of five sessions to treat more deeply a range of issues and conflicts and limiting beliefs.Thus taking these issues out of gear, For those that take the block of treatments I also devise a plan to reduce the engine high revving ie the brain over working looking for problems. You may have noticed some people have a lot of trauma but can cope, others have something relatively mild going on and are highly sensitive and can’t cope. Over the years I have known many people get over anxiety specific issues like socialising, or heights spiders etc, but maybe 6 months down the line, they need something else treating. When we treat the high gears and high engine running, people just never knew how good they could actually feel. I trained in Counseling psychology and advanced hypnotherapy for four years then going on to teach. I further studied mind changing programs, and energy psychology techniques that relieve anxiety very quickly. Being Dr Roger Callahans (the Father of Energy Psychology’s) right hand man. I have taught all around the world. I further went on to develop Reflective Repatterning,(RR) that can treat up to 50 parts more of an issue than any other psychological treatment I am aware of today. I treat people via Skype, which works very well, and takes 5 minutes to download and is free. I can be booked for trainings, and individual home visits. There is hope and there is action that can be taken that, knowing that alone may be a relief.